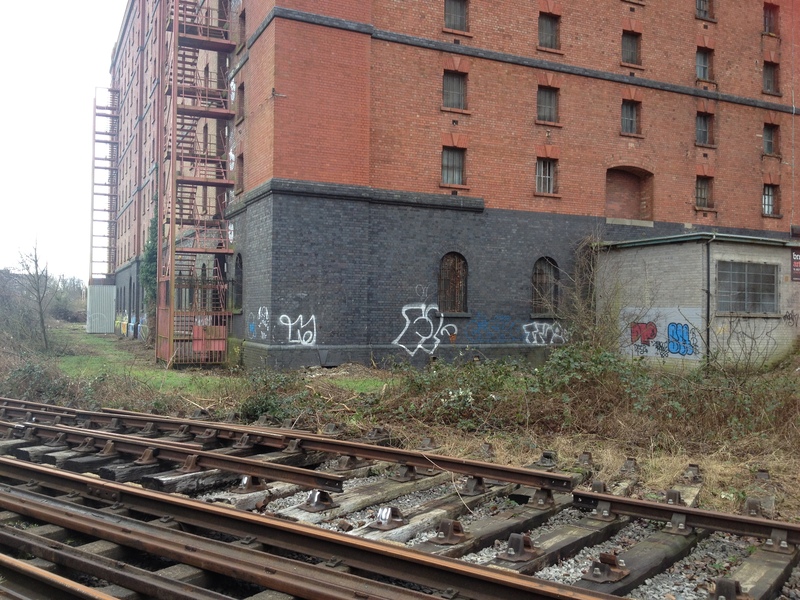 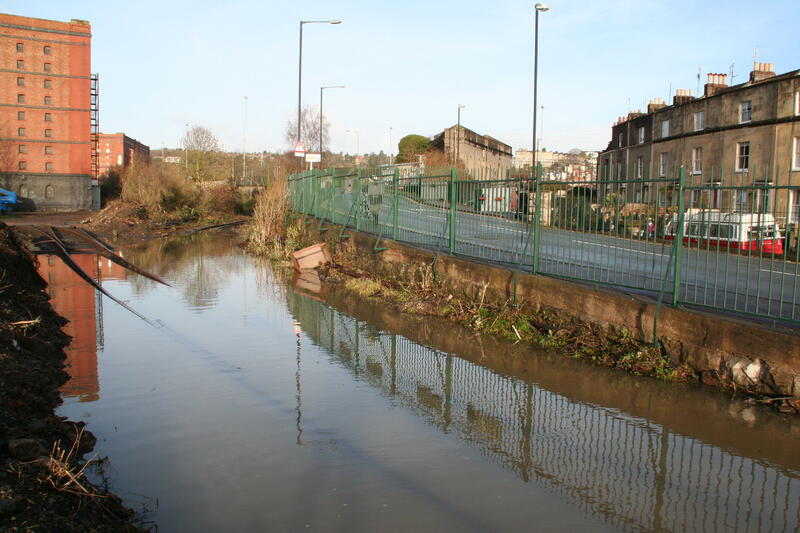 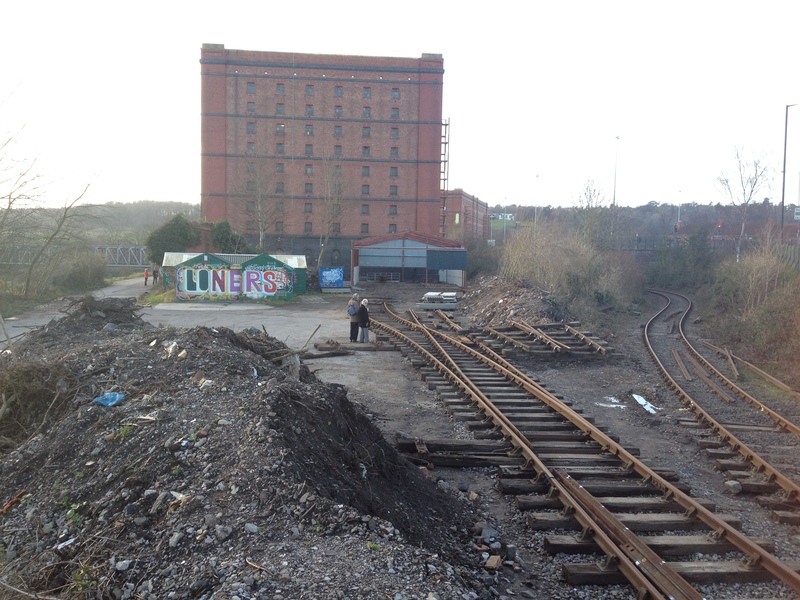 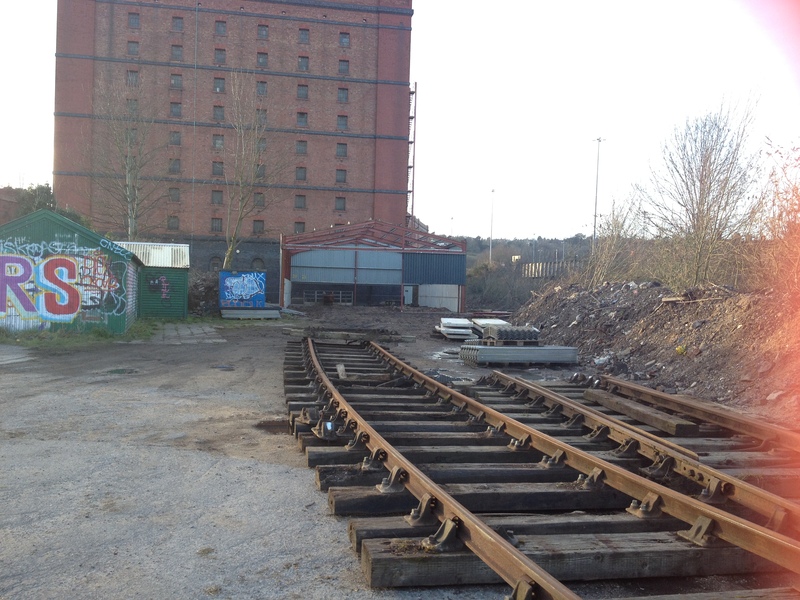 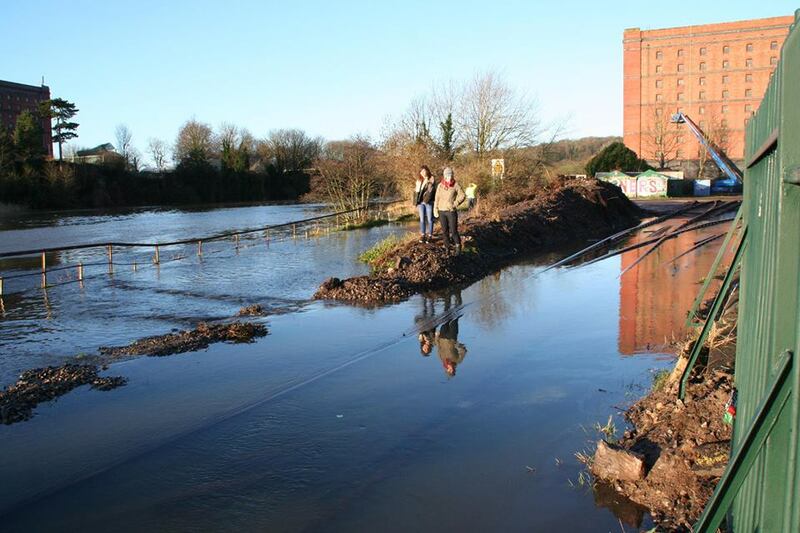 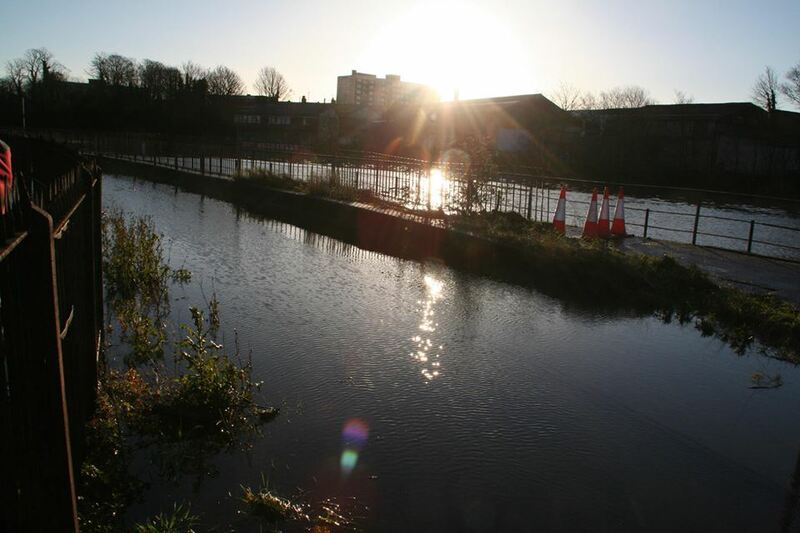 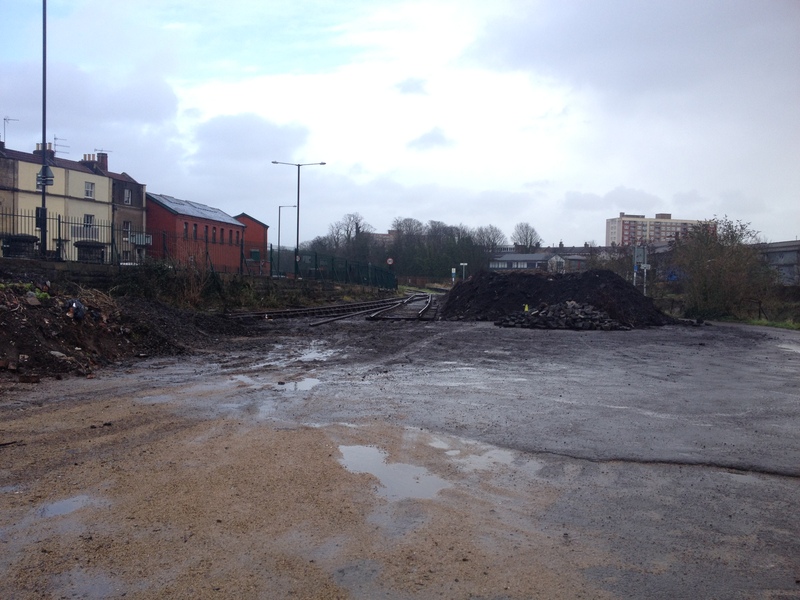 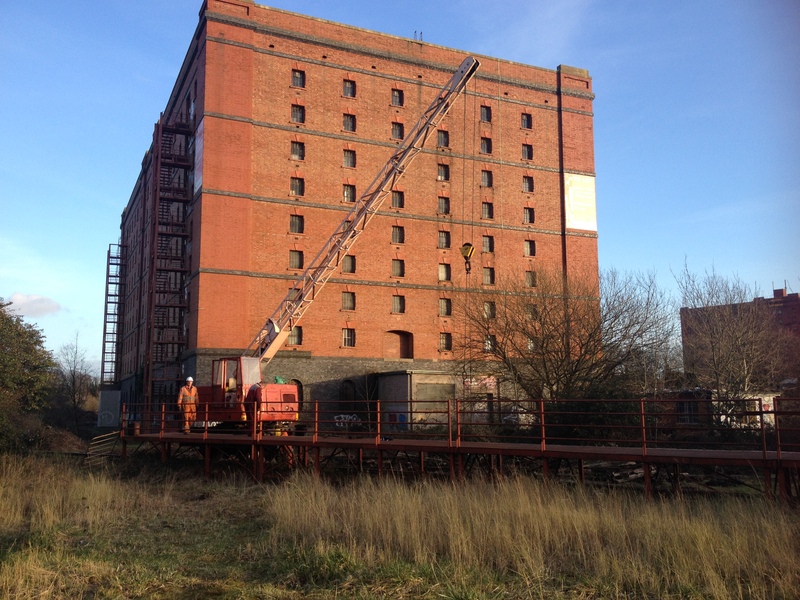 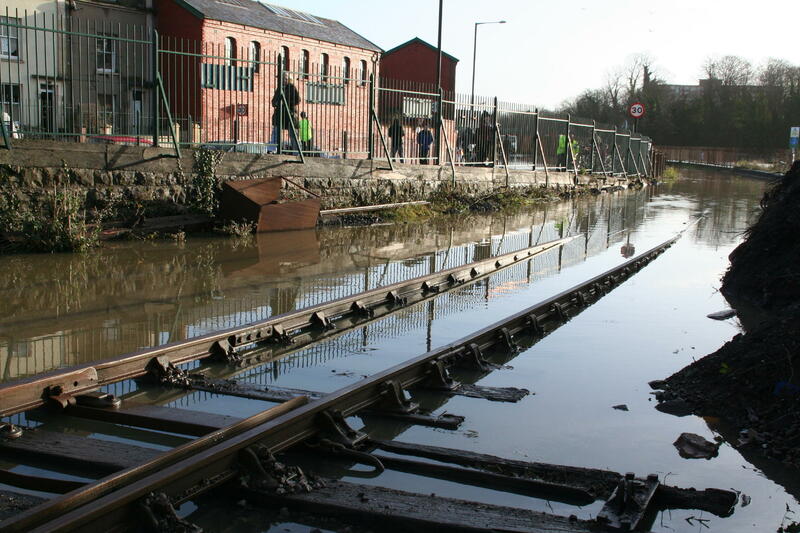 Here’s a few more photographs from 1st Feb showing the water level at A bond warehouse. 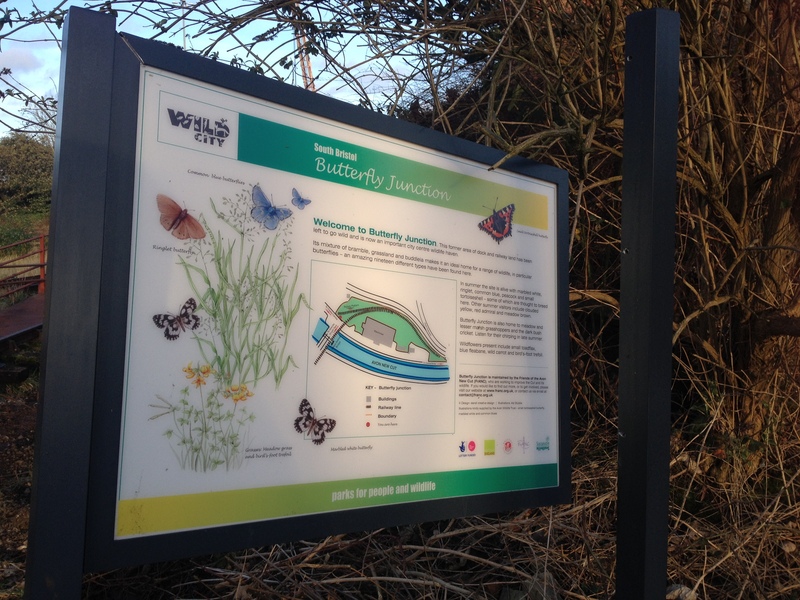 These appear with the kind permission of Jonathan Edwardes. 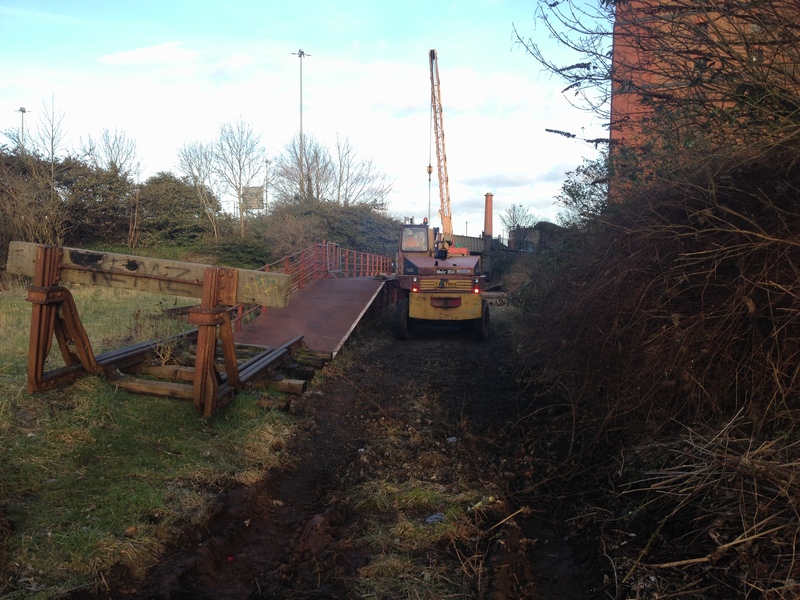 Meanwhile, round the bend, the pointwork salvaged from defunct lines is being relaid at the end of Cumberland Road. 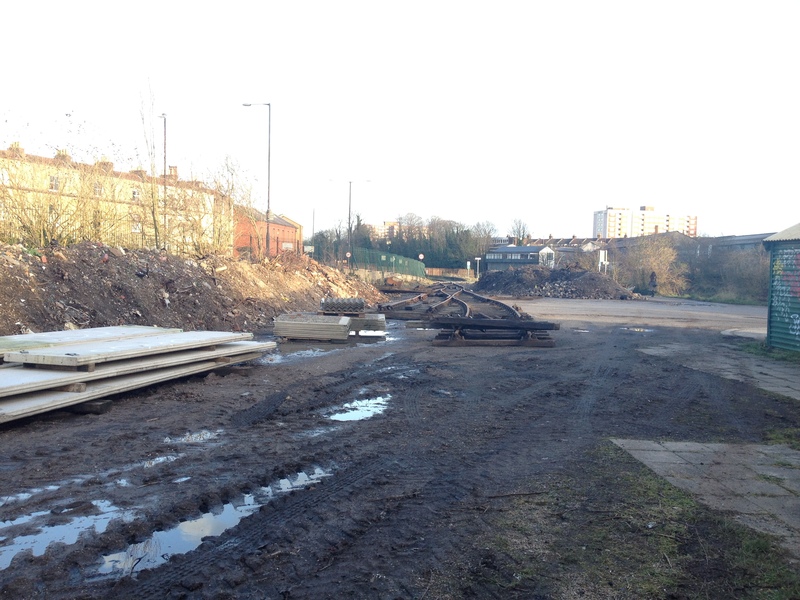 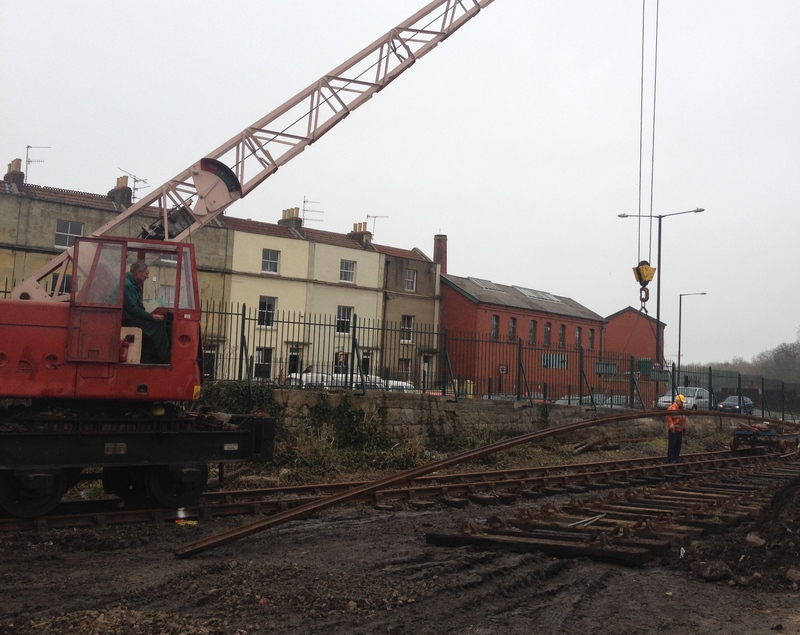 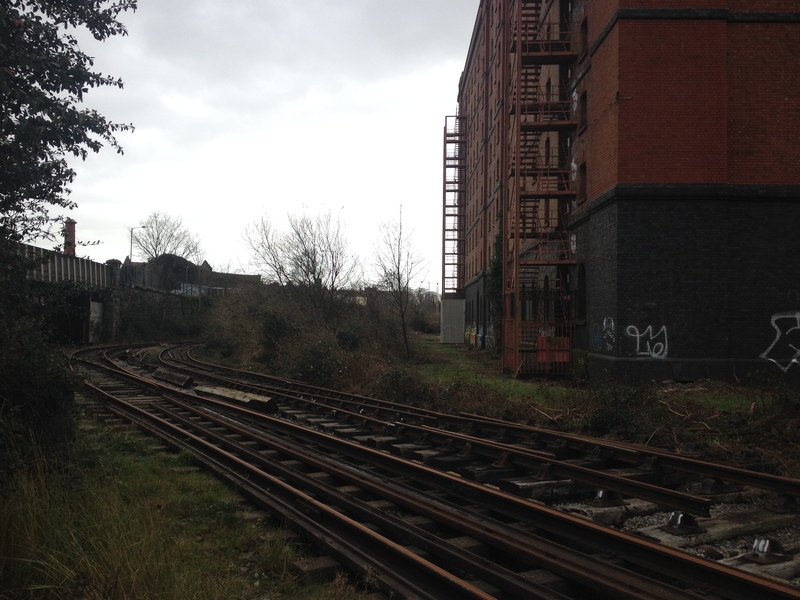 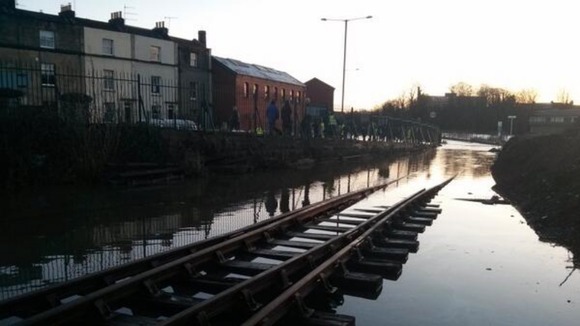 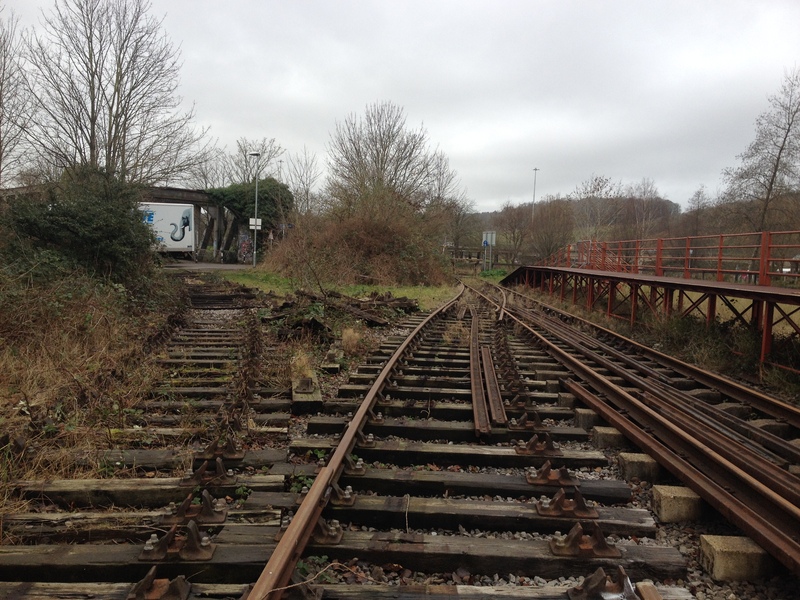 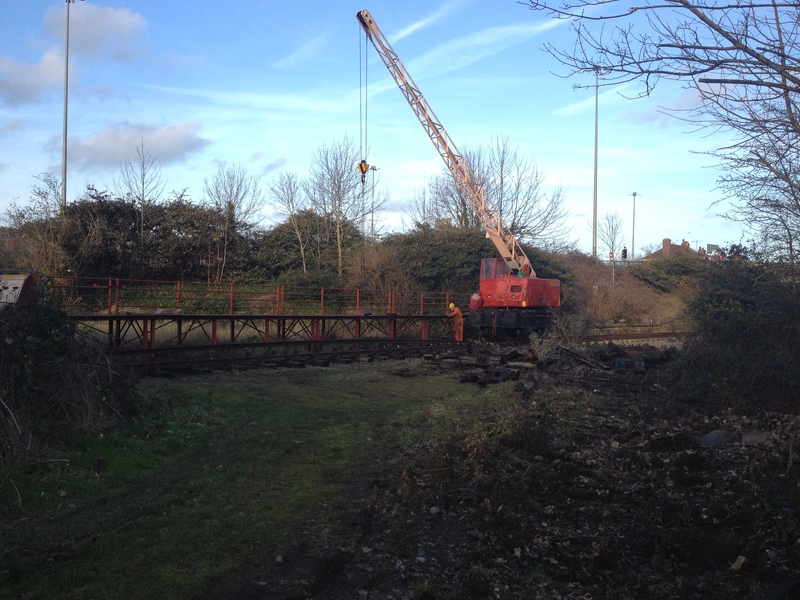 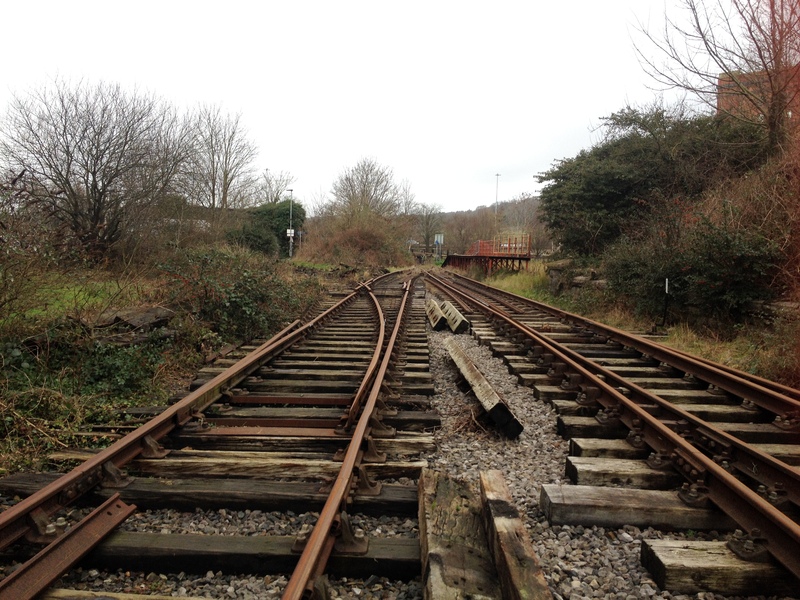 The self-propelled crane was in the process of bringing rail down from the junction…. 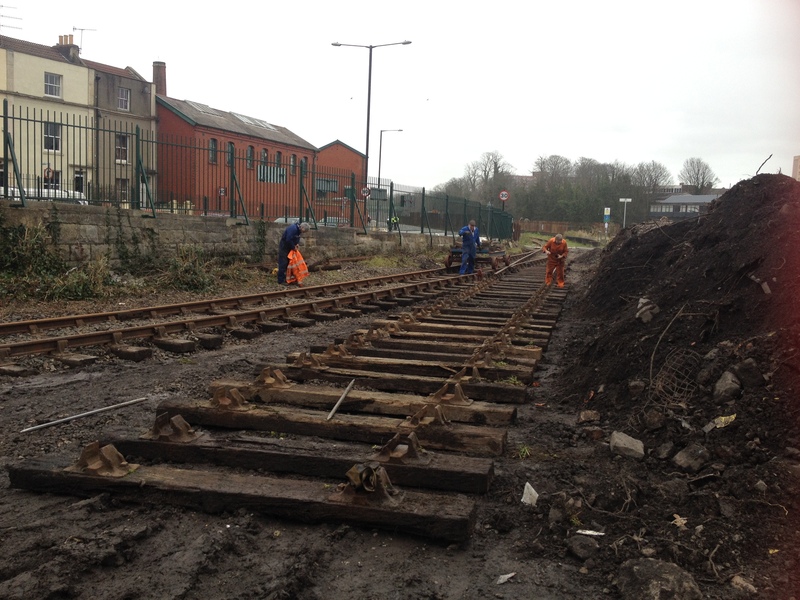 … allowing the track layout to take shape before rain stopped play for the day. 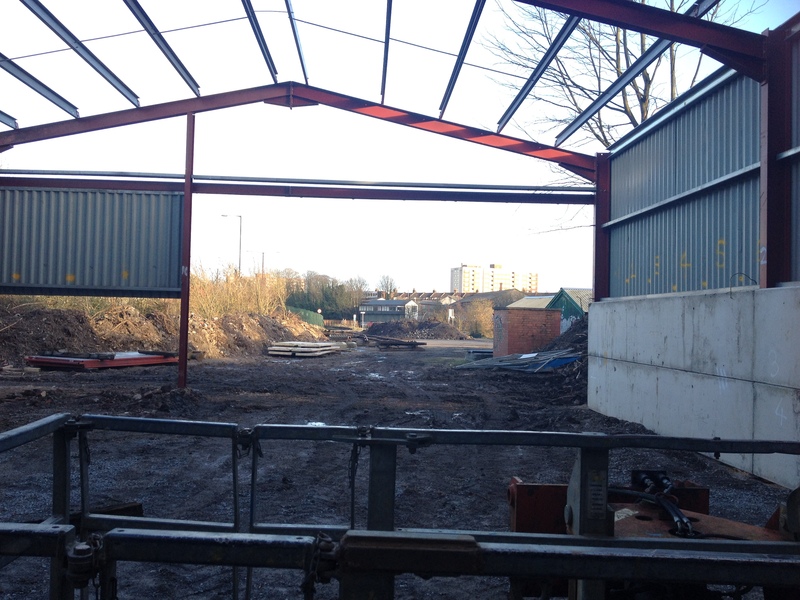 The area in the foreground is planned to become the entrance to the rebuilt ‘barn’ building.